Walker Valley High School in Cleveland, Tenn., is surrounded by rolling hills and factories. When the Chemours chemical plant in New Johnsonville, Tenn., needed workers to maintain its high-tech machinery, it advertised for them as far as 90 miles away in Nashville in one direction and 150 miles away in Memphis on the other. It still couldn't fill the jobs. "You just can't find anybody because people don't want to come that far," said Gregory Martz, manager of the facility, which makes a quarter of the nation's supply of titanium dioxide used in everything from paints to plastics and paper. The problem isn't just that the plant is in a rural town with a population of less than 2,000. It's that fewer than one in five adults in the entire surrounding Humphreys County have at least an associate degree, according to census data analyzed by the nonprofit advocacy organization Complete Tennessee. Educators and policymakers started raising alarms about low levels of college-going among people in places like this after frustration from rural Americans spilled over into national politics in 2016. Now, growing demand for college-trained workers has brought a powerful new voice to the chorus: businesses desperate to fill increasingly complex jobs at a time of almost nonexistent unemployment. With worker shortages hitting industries nationwide, their companies — and many states' economies — depend on it. "No employer wants to locate where it has to bring in outside labor or train its staff from the ground up," editorialized one newspaper in Tennessee's rural Washington County. That area was short-listed for a new factory planned by a South Korean auto parts manufacturer that would have provided 1,000 jobs, but the company pulled out because of the low proportion of skilled workers available. Business leaders have joined with elected officials and educators on "completion councils" in a dozen rural counties where the proportion of adults with postsecondary credentials hovers in the 20 to 25 percent range. 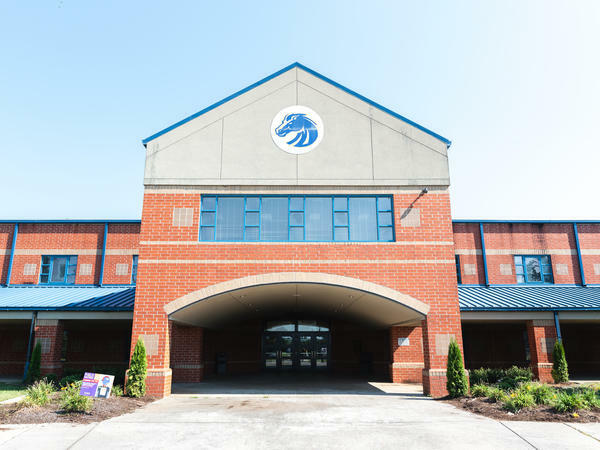 Students at Walker Valley High School in Cleveland, Tenn., can graduate with 12 college credits if they complete the school's mechatronics program. "We said, 'Okay, well, we've got to build our own'" employee base, said Martz, who manages the Chemours plant in New Johnsonville and was also the former chairman of the Tennessee Chamber of Commerce. And it isn't happening only in Tennessee. In other parts of the country, where fewer rural high school graduates and older workers go to college, there is concern that people don't have the right skills. Illinois, Oklahoma, North Carolina and Florida are among the states looking for solutions. In Colorado, one of the state's top higher education priorities is to boost the proportion of adults with degrees from 55 to 66 percent by 2025. The challenge is in changing the attitudes of people in areas where there's not a tradition of going to college, said Dan Baer, executive director of the Colorado Department of Higher Education. "Never before have we had a conclusion that the majority of the population should have a postsecondary credential," he said. "Postsecondary has always been for a minority of the workforce. This is a true inflection point." That's easier said than solved. With jobs of all kinds in good supply, many people don't see a reason to spend time and money getting a degree or certificate — despite the likely eventual financial payoff. Enrollment in Tennessee has actually declined among adults aged 25 to 64 since 2011. "In a lot of rural communities, we still have a lot of work to do to get people to understand," said Bill Seymour, president of Cleveland State Community College, which serves rural Tennessee's Bradley and neighboring Meigs counties; only 23 percent of residents in the two-county region have any kind of postsecondary credentials, compared to the national average of 47 percent. Bradley County's rolling landscape is dotted with examples of the new economy. 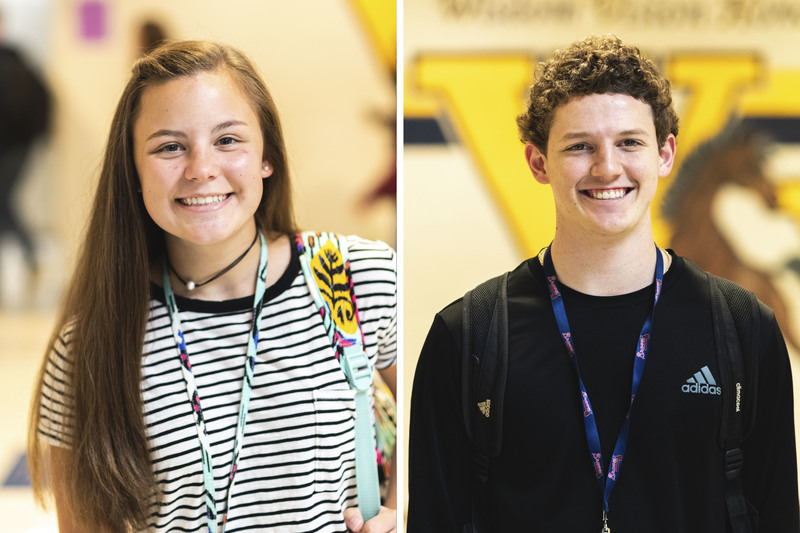 Major employers include a sprawling Amazon warehouse and a Wacker polysilicon plant, both just a short drive from Walker Valley High School, where students are learning how to contribute to the high-tech manufacturing world. 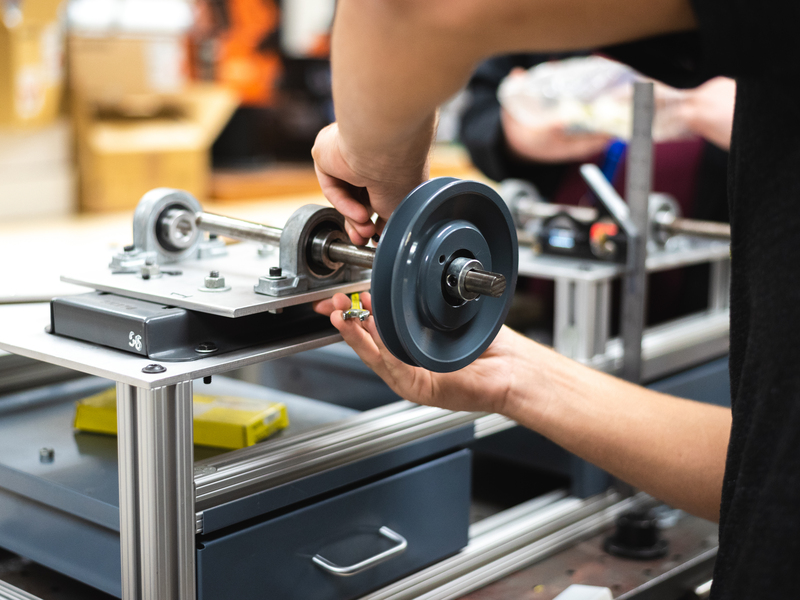 In the school's mechatronics lab – the term has become a buzzword across manufacturing-heavy Tennessee — students tinker with miniature machinery that flows into an assembly line. After a few supplementary classes at a local technical college, local companies will be clamoring to hire them, said teacher Alan Bivens. Left: Michaela Boggess, 17, hopes to study industrial engineering at the University of Tennessee. Right: Jordan Munck, 18, will probably attend a nearby community college for two years before deciding what to do next. "We have students come out [of high school] able to program these things," Bivens said. "That's a really good thing to have on your resume. There's a lot of opportunity in this community, but not a big workforce to draw from." Students at this high school are encouraged to at least complete two free years at Cleveland State or a technical college. Those who successfully finish Walker's mechatronics program can start college with 12 college credits earned in high school. Michaela Boggess, 17, hopes to take her mechatronics skills to the University of Tennessee, about 75 miles away, where she wants to study industrial engineering. Her parents didn't complete college, but they've pushed her to do it. "I'll probably go for four years, maybe longer," Michaela said of her college plans. After college, she hopes to go into product design or architecture. "Ever since I was little, I've liked to build stuff." Fellow Walker Valley student Jordan Munck, 18, isn't sure yet about his future. He's been working as an electrician during breaks, he said, but he'll probably end up taking over his family's real estate business eventually. A baseball scholarship may change his plans, he said, but for now he'll probably go to Cleveland State for a couple of years. "My parents definitely want me to go for those two free years," he said. "It's not smart not to do that."